 This examination is being given to fill one part-time vacancy in the Plant Operations Department at San Joaquin General Hospital and to establish a referral pool for future part-time vacancies. Resumes will not be accepted in lieu of an application. A completed application must be postmarked or received online by the final filing deadline. The incumbent in this position will be required to work a 3:00 PM to 11:00 PM shift. Monitors facilities/building management systems and corresponding computer based systems, including but not limited to the PEVCO PT3000 Pneumatic Tube System, Johnson Control Facility Management System (Metasys F.M.S. ), medical gas pipeline distribution systems (Operator Work Station Mega Network Monitor), total elevator diagnostic system (Operator Work Station Montgomery T.E.D.9.3 System) and fire alarm system, (Operator Work Station Cerberus Pyrotronics Fire Alarm Monitoring System); dispatches appropriate repair and or maintenance personnel, as needed. Starts, operates, monitors, adjusts, terminates, and performs a variety of skilled operational repairs on multiple fuel powered boilers that are fired by #2 diesel and natural gas; evaluates quality and the chemical balance of feed water, boiler water, steam and condensates. Controls cooling systems; evaluates the quality and the chemical balance of feed water, steam and condensates; performs complex chemical testing procedures including but not limited to titration techniques; monitors other electric and electronic controls which regulate and operate compressors, boilers, absorption and reciprocating chillers and all auxiliary equipment, including cooling towers and circulating pumps. Prepares computer-generated trending reports and charts. Maintains a variety of hand-written daily logs indicating various readings for facility management systems; provides logs and or summaries for review by the Facilities Manager. Performs visual inspection of diesel generators to ensure that in the case of power outage these generators are readily available for use; operates and monitors the diesel powered generators in case of power outage. Experience: Three years progressively responsible experience operating and maintaining a central high pressure steam plant. The operation of high-pressure boilers and associated equipment found in a Central Plant; operate and monitor facilities/building management systems and computer based monitoring systems; hazards and safety precautions in a Central Plant; methods of functioning boiler and cooling systems, pneumatic tube systems, facility management systems, gas pipeline distribution systems, elevator diagnostic systems, and fire alarm monitoring systems. Operate, adjust and trouble shoot computer based automated control systems; react quickly and calmly to facilities and equipment malfunctions in emergency situations; communicate orally and in writing; establish and maintain effective working relationships with others in a hospital setting. Mobility-Frequent operation of keyboards; occasional sitting for extended periods, frequent movement including walking, pushing/pulling, climbing ladders and stairs and running; Lifting-Occasional 5-30 pounds and frequent lifting of 30-70 pounds; Vision-Constant depth and color perception; normal eye/hand coordination and occasional reading and close-up work; Dexterity-Frequent writing and grasping motions and occasional reaching movements; Hearing/Talking-Normal hearing, constant telephone/radio hearing, frequent talking on the telephone and constant hearing faint sounds; Emotional/Psychological-Frequent requirements to respond to emergency situations, frequent decision making, constant ability to concentrate and work alone, occasional public contact and exposure to heights; Environmental Conditions-Exposure to constant noise, occasional exposure to dirt, dust, smoke, fumes, poor ventilation, cold, heat and rain and to hazardous materials.